Will the EPA ever really enforce the Residential Lead-Based Paint Regulations? This question has prompted thousands of contractors and sub-contractors to unwisely postpone their Certified Renovator training and Certified Firm applications, which are required by the EPA’s Renovation, Repair and Painting Rule (RRP Rule). Well, for those contractors who have been waiting for the EPA to begin fining companies for lead-related violations, it has finally happened! These recent fines have caused a huge panic in the building industry because it is now crystal clear that the EPA will enforce residential lead-based paint regulations. Most recently, the EPA announced on May 16 that a Rockland, Maine renovator is facing penalties related to alleged violations that occurred in October 2010. As per the EPA’s investigation, the contractor, who had personally completed the required RRP Rule eight-hour training class, failed to: 1) obtain firm certification from the EPA, 2) post warning signs, 3) contain the work area, 4) contain waste from the renovation activities, 5) properly train his co-workers, 6) prohibit the use of high-speed paint removal machines without HEPA exhaust control, and 7) establish and maintain records necessary to demonstrate compliance with the RRP Rule. Remember, the maximum penalty for the alleged violations is up to $37,500 per violation per day! Do you know how he was discovered? The EPA received a tip, from someone across the street from the renovation, who took a video and posted it on YouTube! The EPA promises to follow through on tips, such as this example, to identify if violations have jeopardized public health. • On March 23 a Connecticut window and siding company was fined, and has agreed to pay, $30,702 for failing to distribute the required Renovate Right pamphlets to homeowners and residents prior to renovations. This settlement stemmed from an EPA inspection and the subsequent documentation the company submitted to the EPA. • On March 31 a major St. Louis window company was fined, and has agreed to pay, $19,529 in civil penalties, plus the company will perform a supplemental environmental project worth $20,048. These fines again stemmed from a failure to distribute the Renovate Right pamphlets, which is required by the Residential Lead-Based Paint Hazard Reduction Act. • On April 12, a Maine property management company, which operates in 13 states, was fined, and has agreed to pay, $3,542 and will perform an abatement project valued at $31,884 to settle EPA claims that it violated both the federal lead-based paint disclosure requirements as well as the federal Pre-Renovation Rule. The property management company failed to distribute the Renovate Right pamphlets prior to renovations. • The EPA announced on April 21 that a major Omaha, Neb., window company was fined, and has agreed to pay, $3,976 in civil penalties, and will perform a supplemental environmental project worth $11,928, for violating the federal Pre-Renovation Rule by failing to distribute the Renovate Right pamphlets prior to working on pre-1978 residential properties. Even as recently as early May 2011, the EPA’s Region 6, which covers Texas, New Mexico, Oklahoma, Arkansas and Louisiana, sent letters, to contractors, confirming visits to the contractors’ offices to review the overall level of compliance with the Lead-Based Paint Regulations. That’s right; the EPA will be physically reviewing the contractors’ paperwork for ALL of their renovations or modifications performed on pre-1978 properties over the last three years. The EPA will obtain copies of certain documents so that compliance with the RRP Rule (or lack of compliance) can be evaluated. You know what that means. How many of these contractors are going to have the proper records? In fact, how many of these contractors are going to have NO records at all? Do YOU know what records to keep? Do YOU know how to properly document your renovations? By the way, some of the contractors who received letters were randomly selected by what is called a “Neutral Inspection Scheme,” which could be as easy as a simple Internet search for renovators or contractors! This is just the beginning of EPA’s enforcement of lead-related issues within the residential construction industry. More reports of violations are being released constantly. Remember, the Toxic Substances Control Act Section 402(a)(3) directs the Environmental Protection Agency to establish and implement a fee program to recover, for the U.S. Treasury, the cost of administering and enforcing the lead-based paint activities requirements. The EPA is highly motivated to find violators and is actively doing so. Who does the RRP Rule Affect? Since long before the RRP Rule was enforced, I have been keeping general contractors, sub-contractors, remodelers, builders, property managers, painters, mechanical contractors, maintenance workers, and many others, informed and educated about the RRP Rule to keep them out of trouble. These federal regulations affect ALL contractors and ALL sub-contractors, and even individuals, who get paid to do renovations. 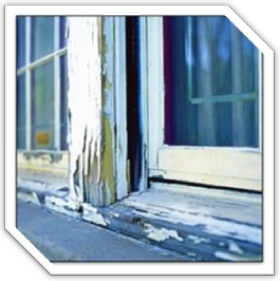 If you scrape, sand, abrade, cut a hole in, puncture, remove, or demolish any painted or surface-coated component, you have “disturbed” that surface, and the RRP Rule may apply. Since the confusing RRP Rule is so specific and has such tiny minimums, virtually 100 percent of renovations on pre-1978 target housing and child-occupied facilities are affected by this legislation in some way. Many contractors have taken the “wait and see” approach to verify if the EPA was actually going to enforce the RRP Rule. Far too many contractors have delayed taking the Certified Renovator training and have continued to add new illegally completed jobs to their risk burden, all with three-year windows of liability from the time of completion. Remember, the EPA can simply “randomly” search for contractors or can specifically research renovation jobs, at anytime within 36 months after the jobs were finished, and contact the contractor to audit his or her required paperwork. When the EPA asks for the proper documentation, how many contractors will say, “What paperwork?” Well, you can imagine the devastating chain of events that would follow that statement! Those contractors will definitely be in deep distress (among other things). Scott von Gonten, CGA, CGP, LLRA, SHA, CR, CDST, a 24-year veteran of the building industry, is a licensed lead risk assessor and consultant, and a principal instructor, nationwide, for the National Center for Healthy Housing, an EPA-accredited training provider for Certified Renovator and Certified Dust Sampling Technician training. You can contact him at svongonten@conserveiq.com  or (713) 213-1205. This entry was posted on Tuesday, June 14th, 2011 at 10:22 am and is filed under Commercial IAQ, Residential IAQ. You can follow any responses to this entry through the RSS 2.0 feed. You can leave a response, or trackback from your own site.